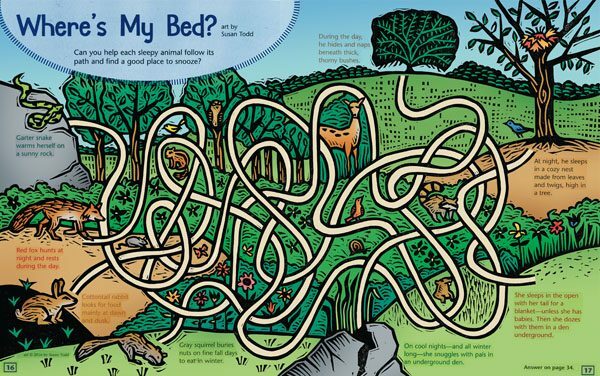 Sue Todd has designed and illustrated a maze activity spread appearing in the July/August issue of Click magazine. Click is published by Cricket Media. Sue’s illustrations are linocut with digital colour.